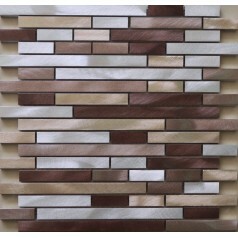 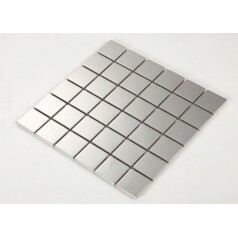 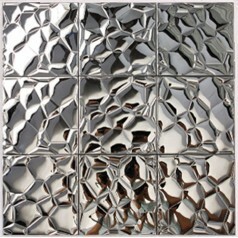 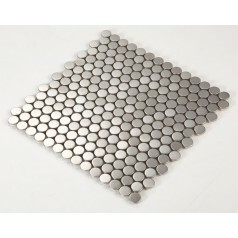 Collection: Metallic Mosaic Tiles; Material: Stainless steel; Color: Purple red; Shape: Square; Size: 300mmx300mm; Thickness: 8mmMetallic mosaics tile provide a sleek,..
Collection: Metallic Mosaic Tiles; Material: Stainless steel; Color: Blue; Shape: Square; Size: 300mmx300mm; Thickness: 8mmMetallic mosaics tile provide a sleek,..
Hominter offers metal tiles in stainless steel, antique copper mosaics and aluminum. 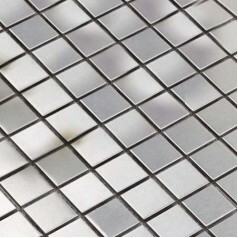 Metal tiles have a handsome, sturdy, look and feel that adds character with plenty of design options to a residential or commercial area. 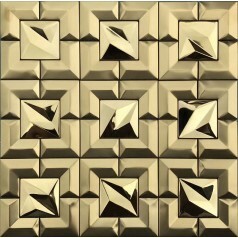 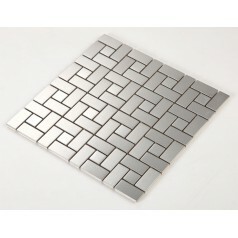 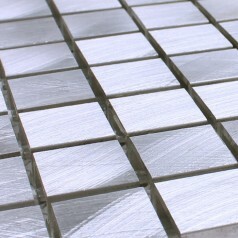 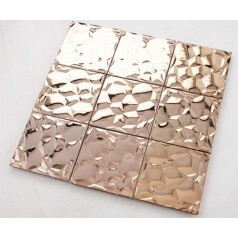 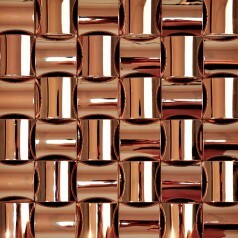 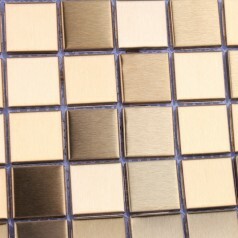 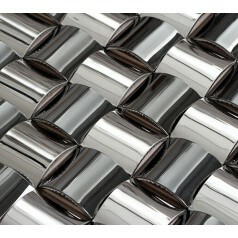 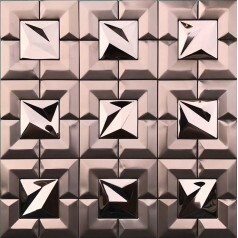 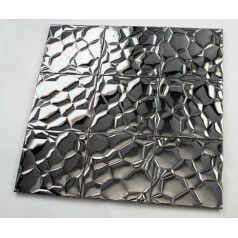 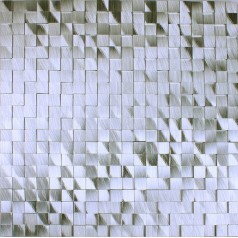 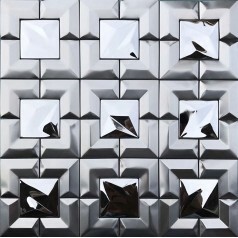 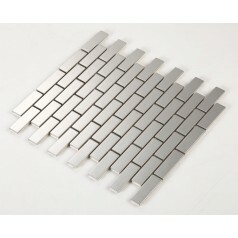 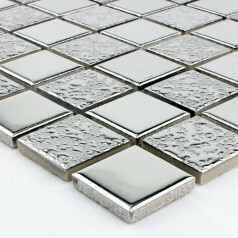 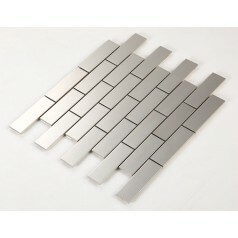 Metal tiles can have a smooth shiny surface or a matte gun metal finish. 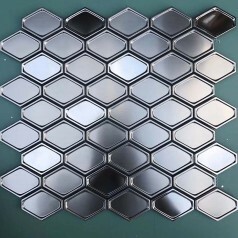 They usually have chrome or brushed finish, the metallic luster of these tiles make strong feeling of modern industry and these tiles are especially good for kitchen backsplash because it is easy for cleaning. 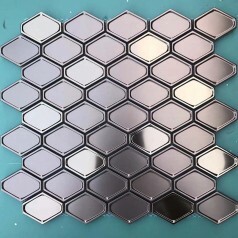 They invoke a sleek and stylish look to any area where they are applied and are suited for use as a kitchen or bathroom backsplash, a bathroom wall, countertops…any area that you’d like to give more dimension and showcase a your personal style. 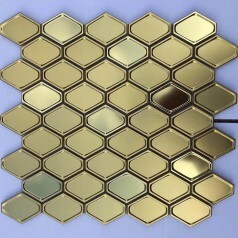 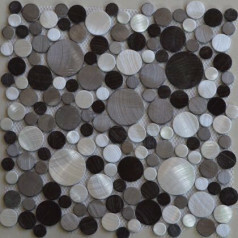 Metal tiles of varying size, color, and texture can be used to create a focal point on a wall or to completely cover a wall for a dramatic design statement. 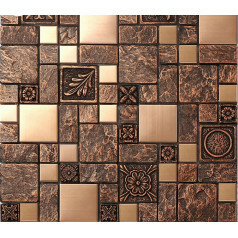 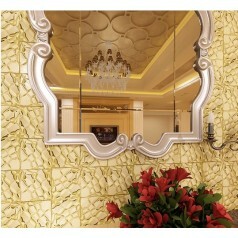 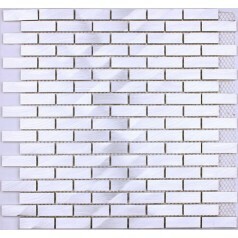 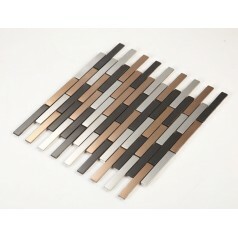 They can create a decorative border design down a hallway, lining along the bathroom or kitchen walls and countertops.